We imagine movie sets to be controlled environments characterized by careful planning, safety precautions, and an air of professionalism. And while this is generally the case, there are some film shoots that have been plagued by irresponsibility, hostility, brutality, pain, suffering, and even death. These instances are decidedly different from the purportedly cursed sets of the Poltergeist films, The Exorcist, and other troubled productions, in which professionalism was maintained, but enough freak accidents and complications occurred to spur rumors these sets were cursed. No, in these instances, the complications are intentionally caused by the director and/or casts of the films, often in service of greater artistic effect, other times due to plain insanity. Here are ten of the worst examples out there. 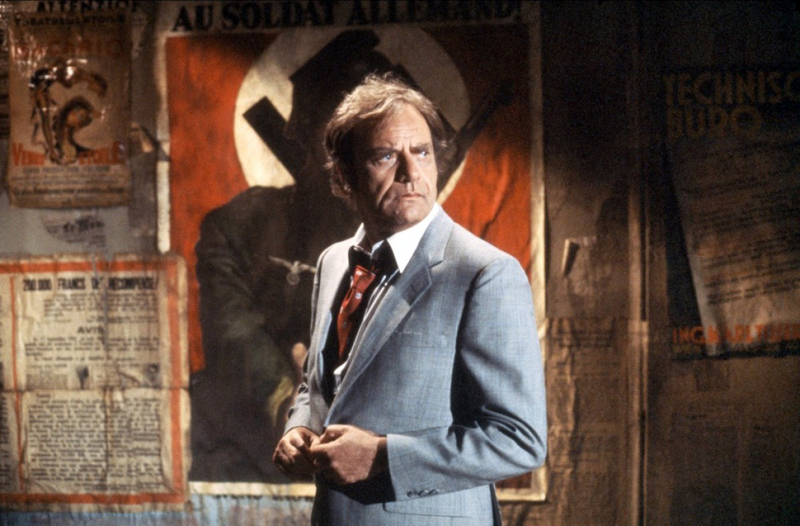 Released in 1983, this big-budget, Steven Spielberg-produced omnibus adaptation of Rod Serling's classic TV series will likely never live down the gruesome accident that claimed the lives of actor Vic Morrow and two children who were working under the table so as to avoid child labor laws. As Morrow carried the children, Myca Dinh (seven years old) and Renee Shin-Yi Chen (six years old), pyrotechnics collided with a helicopter, causing it to spin out of control and crash sideways. The rotor blades decapitated both Morrow and Dinh, and Shin-Yi Chen was crushed to death. The entire disaster could have been avoided if better communication between the pilot and the technician in charge of igniting the explosions had been established. Reportedly, a fire safety officer worried the pyrotechnics would cause a crash, but he did not share these concerns with the segment's director John Landis. A major lawsuit ensued, but most of the filmmakers involved were cleared of all charges. The accident however did lead to stricter safety protocols in the industry. Though the entire helicopter sequence was ultimately cut from the film, footage of the disaster can be found online. Purchase Twilight Zone: The Movie via Amazon. "The horror…The horror," mutters Marlon Brando's Kurtz, a direct line from the novel upon which this film is based, Heart ofDarkness. The notorious actor may as well have been referring to the entire shoot of Apocalypse Now, which was fraught with political complications, alcohol and drug abuse, malnutrition, exhausting working conditions and all-out insanity. To name but one example: Martin Sheen's breakdown at the beginning of the film is not a bit of stellar acting. Sheen is of course a fine actor who can bring characters to life, but his sobbing and smashing of a mirror (with very real blood) isn't a performance for the sake of his role; you are watching Sheen actually losing his mind on camera, as he, like his character Captain Willard, was heavily addicted to booze at the time. This was all apparently sanctioned by director Francis Ford Coppola (who also went mad while making this film). Shortly after filming this scene, Sheen, then 36 years old, collapsed from a heart attack. For all the rest of the mayhem (as if Sheen's freak-out wasn't enough), check out the documentary Hearts of Darkness: A Filmmaker's Apocalypse. 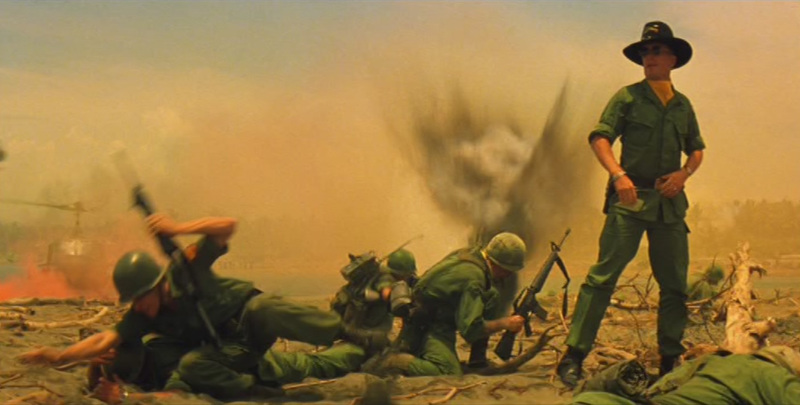 Purchase Apocalypse Now via Amazon. Insane director Werner Herzog and insane actor Klaus Kinskiwere a match made in batsh*t heaven. They made five films together and were at each other's throats through many of them, perhaps none more so than during the making of Fitzcarraldo. Kinski already had a reputation as a difficult person to work with, though that's putting it lightly; Padraig Cotter states the matter better in an article for WhatCulture: "[Kinski] turned being a volatile, hateful maniac into an artform. He was universally despised by most of the people he worked with, and was famous for his temper tantrums and ranting outbursts." The plot of Fitzcarraldo concerns the titular character, played by Kinski, who attempts to "drag a 320 ton ship over a steep muddy hill in Peru," a feat Herzog insisted on recreating with an actual ship, with actual natives paid to perform the task, rather than simply faking it with models and miniatures. Nick Thorpe writes in his article "Herzog's Unfilmable Nightmare" "For hundreds of native Indian extras already wary at being asked to help drag Herzog's steamboat up a muddy slope, the daily outbursts of the raving white man [Kinski] were incomprehensible and terrifying. At one point a local chief approached the director and offered to have Kinski killed." Adding to this general air of hostility, the cast and crew worked long hours in a sweltering jungle during one of the hottest summers on record. And to make matters worse, scavenging tribes once orchestrated a raid on the set, shooting one crew member through the neck with an arrow and hitting the man's wife in the stomach. Both survived, but the horrors would continue: two plane crashes, leaving one crew member paralyzed; the accidental drowning of a young highland native; extras dying of disease; and the self-amputation by chainsaw of a man's foot after he was bitten by a deadly snake. As with Apocalypse Now, you can see much of this insanity unfold in the documentary Burden of Dreams. Purchase Fitzcarraldo via Amazon. Never mind the fact that the shoot for this Stephen King adaptation went millions of dollars over budget and lasted an entire year, that daily and even hourly script changes became so frequent that star Jack Nicholson refused to learn his lines until the cameras began rolling, filming The Shining was, for co-star Shelley Duvall, as nightmarish as the spirits haunting the Overlook Hotel. 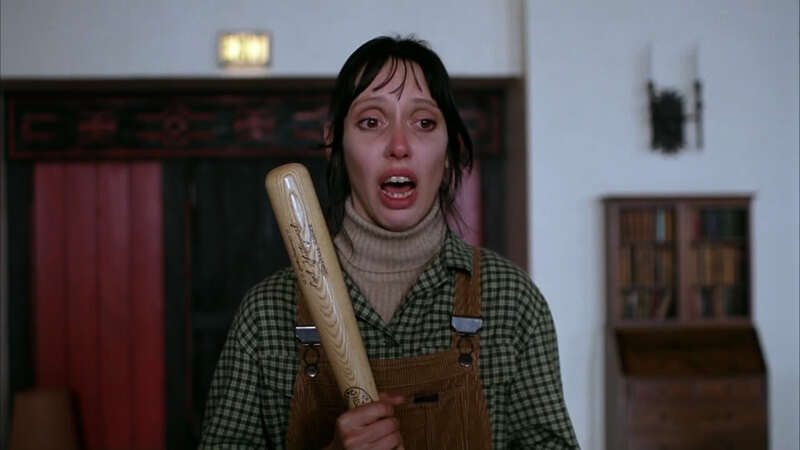 Director Stanley Kubrick intentionally treated Duvall badly in an attempt to make her feel as isolated and desperate as her character Wendy Torrance. According to Wikipedia, "Duvall eventually became so overwhelmed by the stress of her role that she became physically ill for months. At one point...her hair began to fall out." Again, a documentary crew captured most of the mayhem, including instances of Duvall becoming dizzy and having to lie down, much to Kubrick's consternation; we later see him berating Duvall for not coming out of a door when he yelled action (she simply couldn't hear him). She also states in the documentary that while she is impressed with the results of Kubrick's overbearing direction, she would never want to put herself in that position again. And true to her word, Duvall never worked with Kubrick again. Purchase The Shining via Amazon.